A lost Wisdom Tradition that was practiced globally in antiquity is memorialized in pyramids and temple architecture worldwide. The central tenets of this tradition have been perpetuated in Western “Secret Societies.” The most visible of these is the so-called “Masonic Fraternity,” an age-old chivalric Order whose ranks have included such universal geniuses as George Washington, Voltaire, and Mozart. Fearing their principles might ... Más informaciones one future day be forgotten, the Freemasons who built the towering churches, castles and cathedrals of Europe (and America) carefully encoded this secret wisdom into the architecture of these monuments. 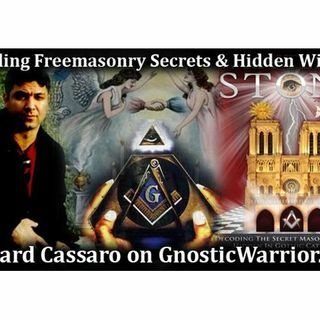 By matching cathedral architecture with ancient temple design, Richard R. Cassaro shows the universality of the World Religion, thereby demonstrating that the root wisdom of the Masonic Fraternity is the key to the perpetuation of a life-changing ancient science of mind expansion and enhanced self-awareness. Written in Stone will carry you across the mysterious Nile in Egypt, to the ancient lands of Persia and China, to the dawn of the Indus Valley civilization and Southeast Asian temple culture, and high into the remote jungles of the Andes mountains. The purpose of this pilgrimage is to lead the reader to greater self-awareness and deeper understanding of our cultural traditions. Richard Cassaro is a passionate advocate for the theory that a strikingly advanced “mother culture” gave birth to spiritual ideas and practices that have nourished humanity since time immemorial. Cassaro brings to this project more than 30 years experience as a field explorer and researcher. His previous book The Deeper Truth explored striking parallels between the symbols, practices and beliefs of early Christianity and the Egyptian cult of Osiris.